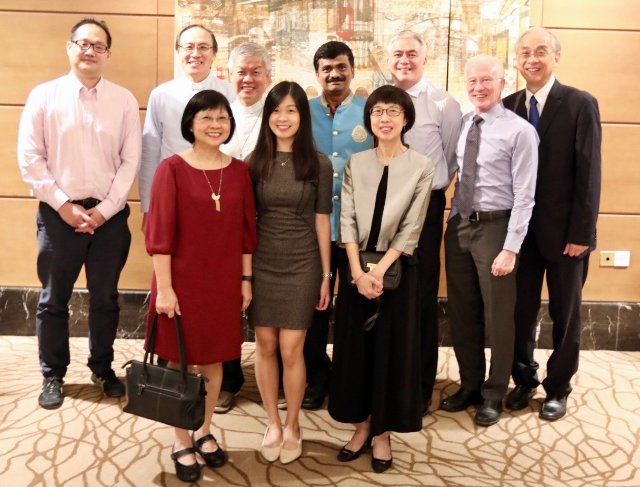 The 70th Anniversary of the Inter Religious Organisation (IRO) was celebrated at the Fullerton Hotel on 19 Dec 2018. 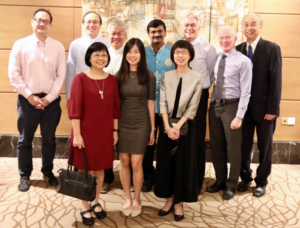 This charity dinner was sponsored by the Far East Organisation, with all the funds raised going to six beneficiaries of different faiths. The dinner was well attended and supported. The evening began with IRO’s “signature feature” at its events—a prayer led by 10 leaders of the various faiths for peace for the nation, good health and just rewards. A short video of violence and armed conflict where religion is hijacked for causes by some groups and countries set the tone for the speeches by the three speakers. It was a vivid depiction of threats to religious harmony around the world. Mr Ben Benjamin, president of IRO, reminded all present to promote peace and religious harmony in Singapore. Referring to the Maria Hertogh riots in 1950 and the racial riots in the 1960s, he emphasised how Singapore has progressed and that we should never take our religious harmony for granted. Ms Grace Fu, the guest of honour and Minister for Culture, Community and Youth, warned of the clear and present danger of taking our eyes off threats to our peace and harmony. Pledging, striving and committing to deepening cooperation among religions is as pertinent as guarding against falsehoods, hate speech and fake news, especially on social media. As the event drew to a close, there was a strong shared sense that, as we celebrate religious diversity, we acknowledge a commonality of compassion and care for others across the different faiths and nationalities. 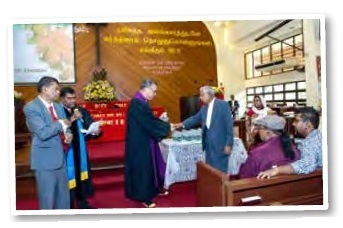 Arthur Fong is a member of Kampong Kapor Methodist Church.